3 Working Mode – AUTO/manual/AMPV. Message Display for on-going process. Message Display for all type of faults. Front LED indication for status. 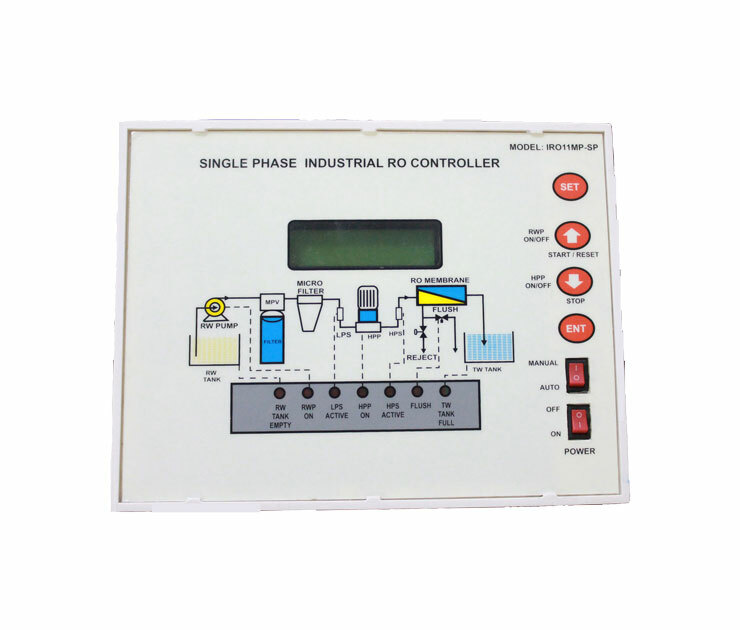 The RO Controller is used to control RWP HPP motor as per condition of digitals inputs & it also protects the motors from unhealthy electrical condition like Under voltage & Over voltage . it also gives pump protections like under-load & over-load. It also measure RUN-HOUR. Here also works raw water and treated water floaty, low pressure switch and high pressure switch. It works upto 2 HP RWP and 3HP HPP. Input voltage: - 230VAC, 50Hz. For ECONOMY R.O.PANEL 11 model.